There have been a whole lot of jokes about FS2 since its launch, and its continued low distribution (an estimated 58,171,000 households in April versus FS1’s 83,819,000) has meant those have been largely accurate. In fact, Fox has even thrown plenty of Big Ten and Pac-12 content to Fox Business Network rather than FS2 when overruns and conflicts come up, and while live sports on Fox Business feel weird (and still produce plenty of outrage), that’s probably smarter given its significantly higher distribution (84,603,000 homes in April) relative to FS2. Chivas-RBNY UDN (Spanish only) 649K viewers. Liverpool-Man City on FS2 beat Barcelona-Roma on FS1 (both English only), 228K viewers to 208K viewers. Well, here we go: Liverpool-Man City on FS2 beat Barcelona-Roma on FS1 (228K viewers to 208K viewers. Imagine if the #LIVMCI game had been on FS1. And so much for the Barca effect. That’s perhaps another indication of the popularity of big English clubs, which are driving plenty of ratings both in the Premier League and in European competitions. Barcelona’s certainly well-known Stateside too, but Roma perhaps doesn’t have as big of an appeal in the U.S., and that match just didn’t bring in the viewers relative to Liverpool-City. 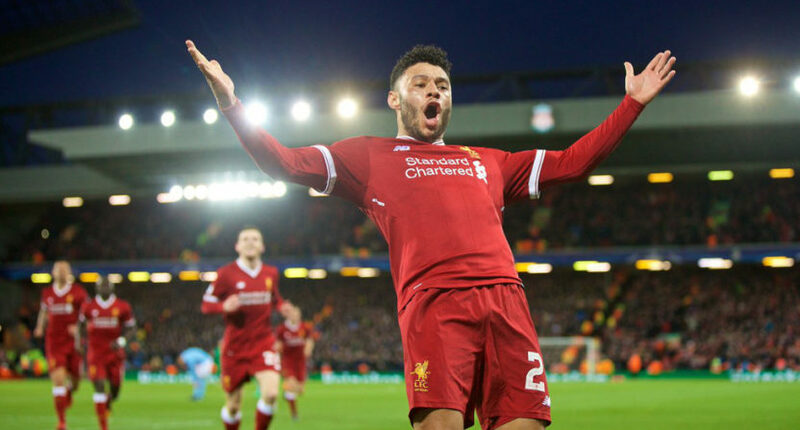 (And it’s not like it was more of a blowout, as both matches were decided by three goals, with Barcelona winning 4-1 and Liverpool winning 3-0. The Liverpool goals even came earlier in the match; 59 minutes were played with the score at 3-0, but that didn’t hurt the audience.) And it’s pretty remarkable that the FS2 match brought in the bigger audience, given that it’s in an estimated 25 million fewer homes. We all know that the real timeslot winner against Champions League soccer is Mike Francesa, though. Maybe Fox should bring him back; I hear he’s available. And his soccer takes would surely be much better than the actual thing. But hey, this is proof that programming bumped to FS2 can outdraw what’s on FS1. It just helps if it’s an actually-good match instead of a talk show.